SECURE A BASKET UNDER YOUR COMPUTER DESK TO HOLD WIRES. - ProudMummy.com the Web's Community for Mums. 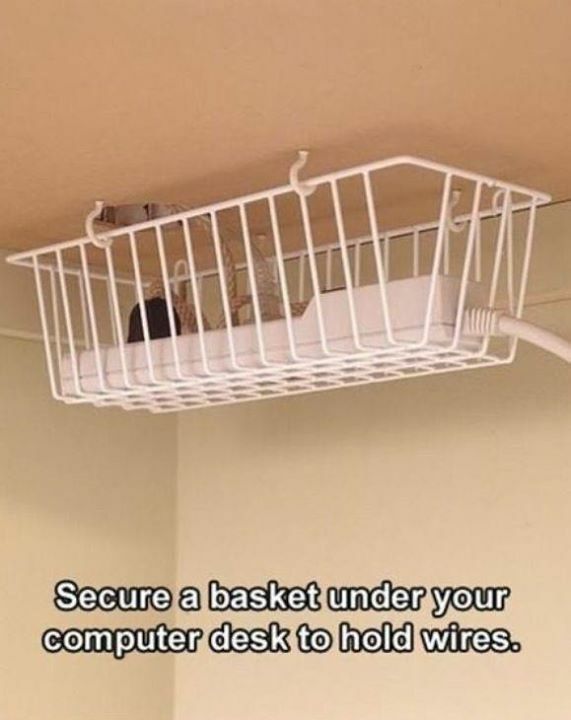 Home » Memes » Home & DIY » SECURE A BASKET UNDER YOUR COMPUTER DESK TO HOLD WIRES. SECURE A BASKET UNDER YOUR COMPUTER DESK TO HOLD WIRES.